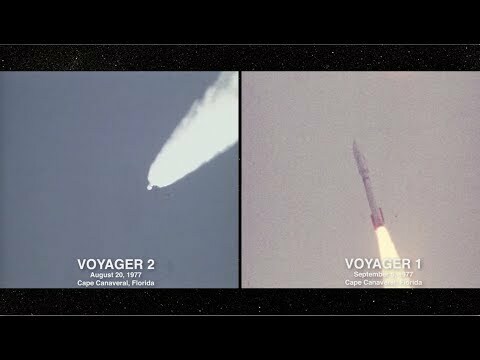 In the late summer of 1977, NASA launched the twin Voyager spacecraft. These remote ambassadors still beam messages back to Earth 40 years later, with data from their deep space travels. Voyager 1 is about 13 billion miles from Earth in interstellar space, and Voyager 2 is not far behind. For more about the Voyager mission, visit https://www.jpl.nasa.gov/vo... .